So what has happened between now and my last post on April 7? DESSERT! Yes, my friends, that fateful Easter day was April 8 and that means dessert has been back in my life. 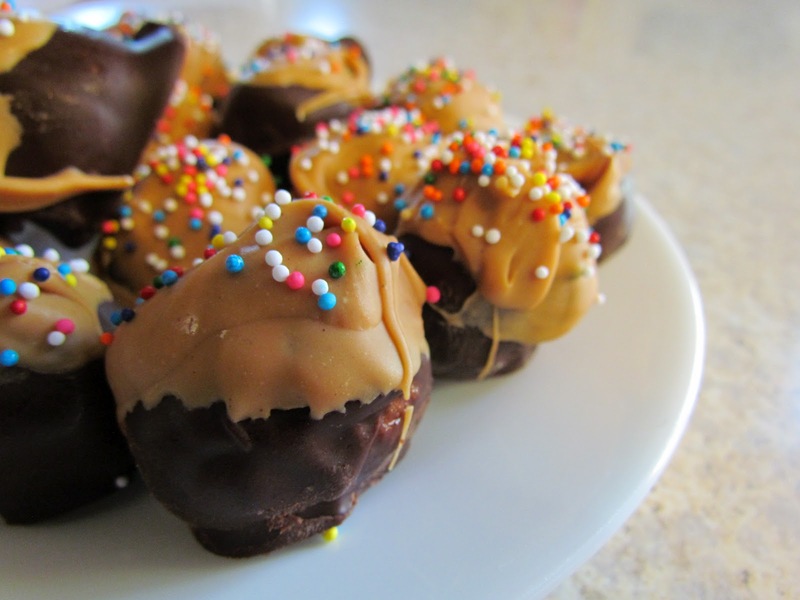 I’ve given up desserts for every Lent since I was about 15, which makes Easter day a delectable feasting of cakes, cookies, chocolates, you name it. And did this RD dig in? 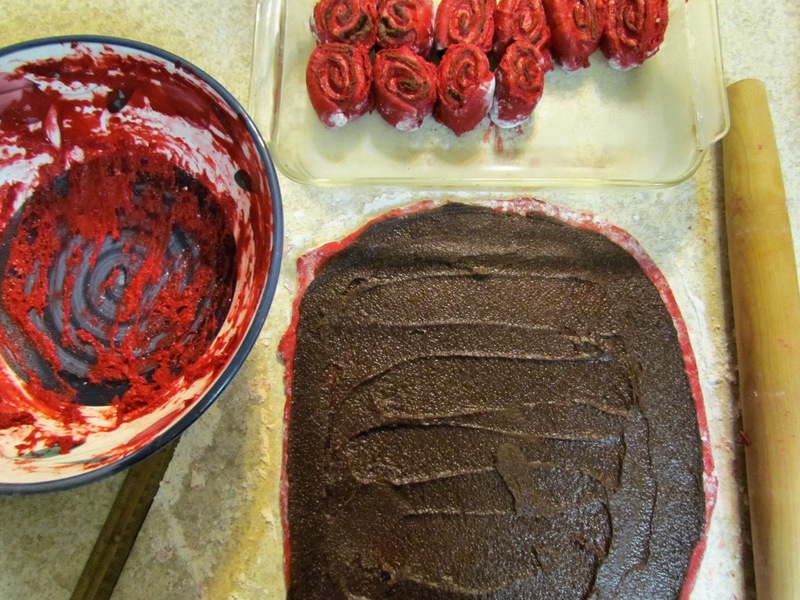 I’m sure this dessert bounty served-up on holidays sounds familiar to many of you out there.There will always be Aunt Millie’s famous pumpkin-roll at Thanksgiving dinner and that tall cake oozing with chocolate for your mother’s birthday. No way around it, food is an integral part of our celebrations year ’round. While many people embrace this time to eat, drink, and be merry, there are others who worry about how much they will go “out of control” and “overdo it”. So what are we to do during these times? How do we find a balance between enjoying ourselves and not going overboard? Yes, it may be a cake, but now it tastes like a granola bar cake. Or a brick. Also, many times when someone says that a food is “good for you”, we often take that as an invitation to eat more of it. Just because a food is fat or sugar free doesn’t mean we need more of it in our bodies. 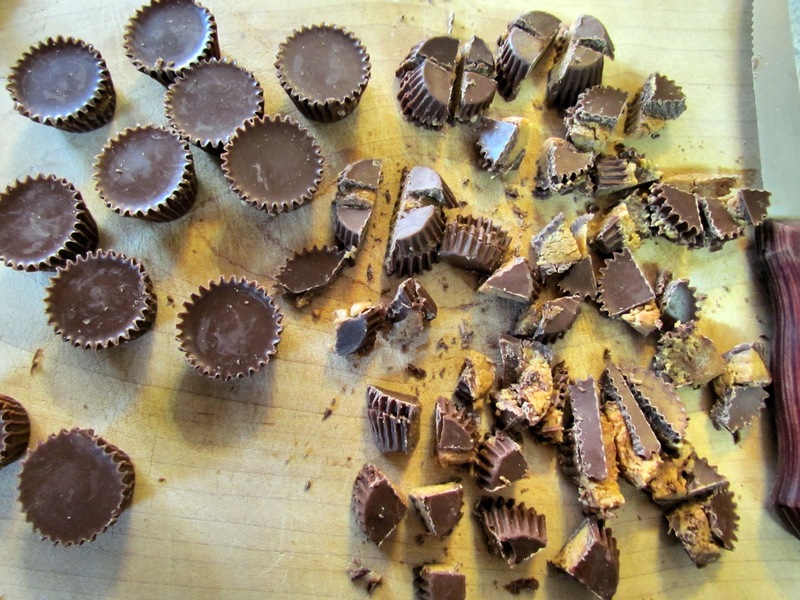 Another reason why we may eat more of a dessert that has been given a healthy make-over is simply because the fat is no longer there. Fat is extremely important since it sends messages to the satiety centers in our brain, telling us to stop eating because we are full. 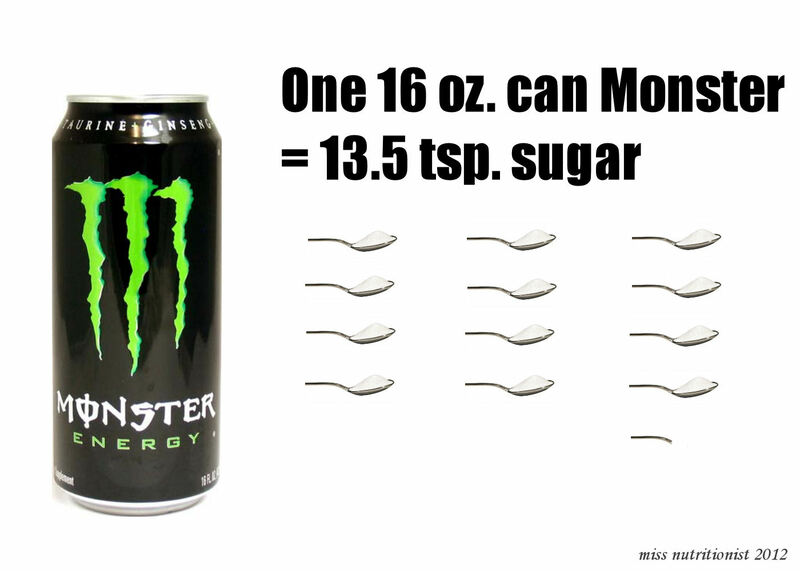 The same goes for sugar. I’ve recently eliminated artificial sweeteners from my diet because I had the tendency to drink multiple servings of diet pop/Crystal Light each day. However, when the craving for a Coke hits me like a brick wall every few weeks or so, gosh darn-it, I drink that Coke! In fact, as I write this, I’m drinking one right now. The trick, however, is to stop at ONE CAN. 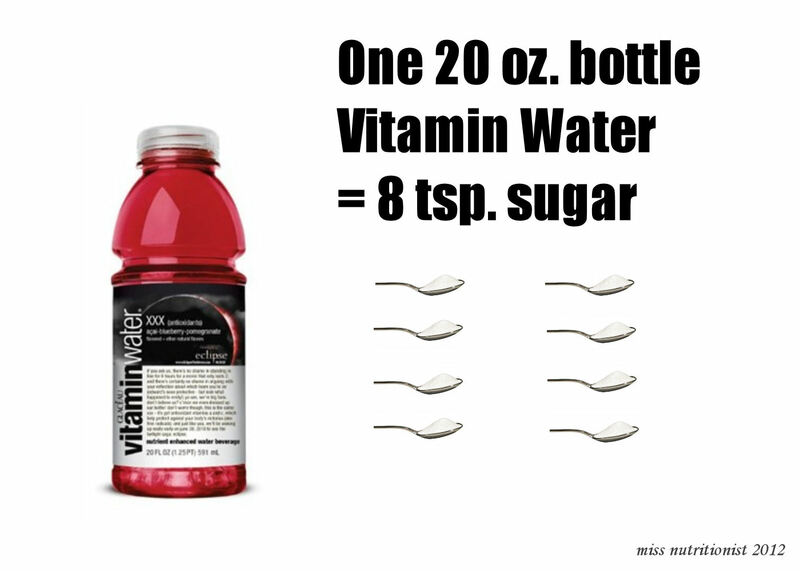 For me, this is easier to do since I am much more satisfied after drinking a Coke can of sugar rather than aspartame. And one last thing…if you DO go overboard with a certain food: no feeling guilty, bad about yourself, or the F-word…fat. Your eating choices for one day, one week, or even one month do not define you in any way. Food does not have that power over you, and you have the power to live a healthy life: eat your favorite foods in reasonable portions, get in your fruits, vegetables, and lean protein, make half your grains whole, consume three servings of dairy, drink plenty of water, and exercise. It’s as simple as that, and it’s never too late to make a healthy change in your life. These nutrition opinions are meant for healthy individuals without diet restrictions due to a medical condition. As always, please consult your own doctor or dietitian to make nutritional recommendations for your individualized needs. So today I had the opportunity to teach high schoolers about nutrition! The kids were awesome and it was a great time! I believe this is beginning to solidify the fact that I actually really enjoy talking in front of people (I never thought I would say that), especially teenagers! They have so much energy, great questions, hilarious questions, and are just a good time to be around. What did we talk about today that might be of interest to y’all? Yes, my friends, you are talking to a nutritionist who has frequent love affairs with sugar and every Lent, I give up desserts. So I’m guessing that while dessert is not in my body, it’s on my mind. At least subconsciously. My favorite has got to be the Vitamin Water. 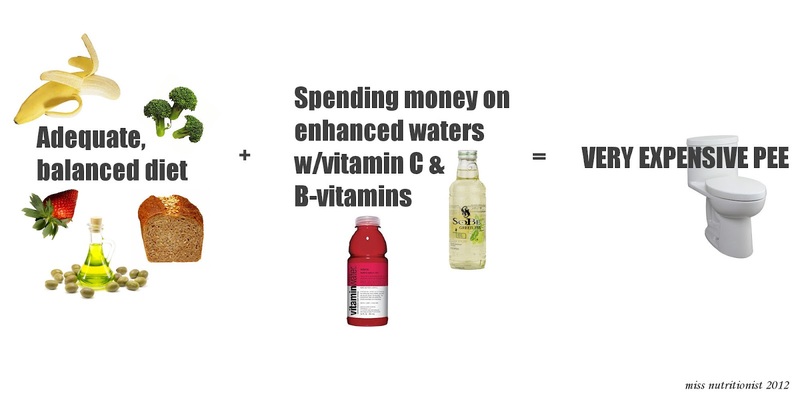 There’s so many enhanced waters out there – Vitamin Water, Life Water, etc. etc. – that claim that their drink has electrolytes! B-vitamins! 10,000% percent daily value of vitamin C! Improves energy! Improves focus! You’re wasting your money! Sure, these enhanced water drinks may taste good. 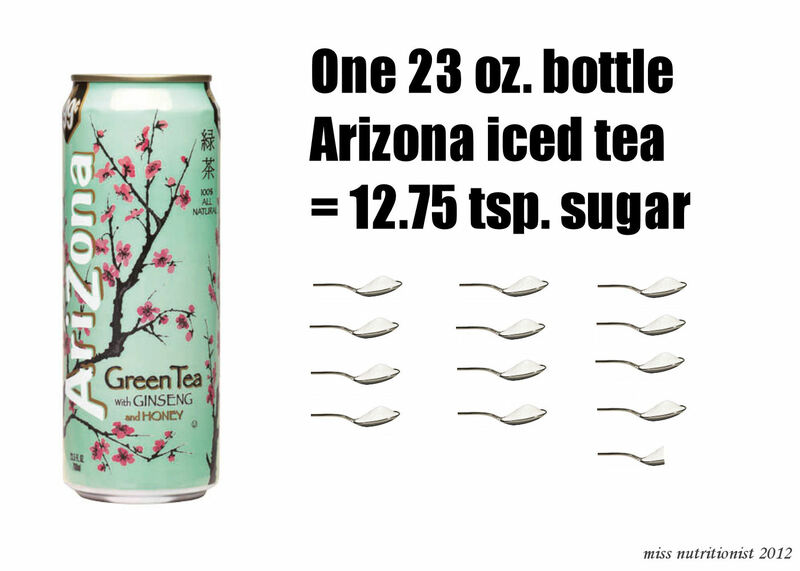 Sure, they do tend to have less sugar than other sugary beverages. But the vitamins that these drinks boast about are what we call water-soluble vitamins. These vitamins are not stored in the body, so it’s important to replace them every day. Water-soluble vitamins include vitamin C and B-complex vitamins, like thiamin (or vitamin B1), riboflavin (or vitamin B2), niacin, folate, vitamin B6, vitamin B12, biotin, and pantothenic acid. To get even more in the nitty gritty of it, these vitamins help with a slew of functions in our body, like maintaining metabolism, keeping the nervous system working properly, skin health, and red blood cell formation. ‘Tis true, my friends. So moral of the story is, think twice before you spend $2 on a Life Water. 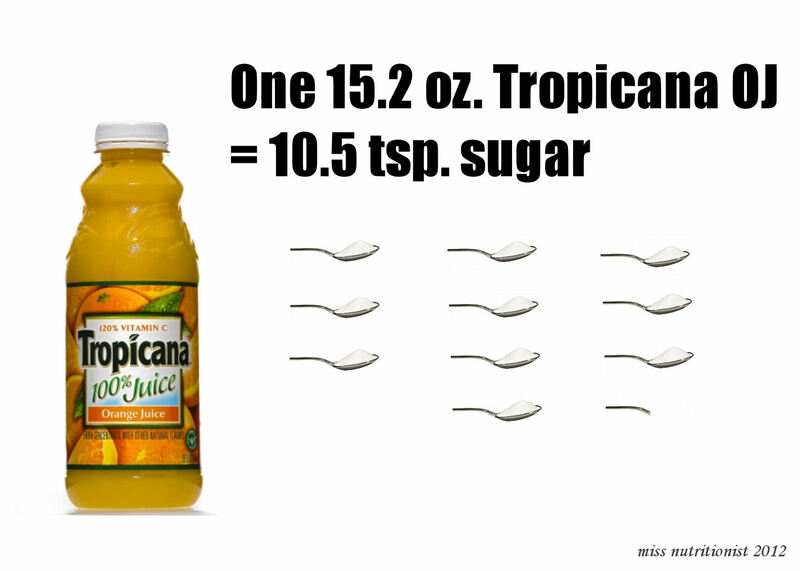 If you’re drinking it because you a pop kind of guy or gal and are trying to make a healthier choice that has a little bit less sugar, then it’s a good stepping-stone drink to reducing your sugar intake. 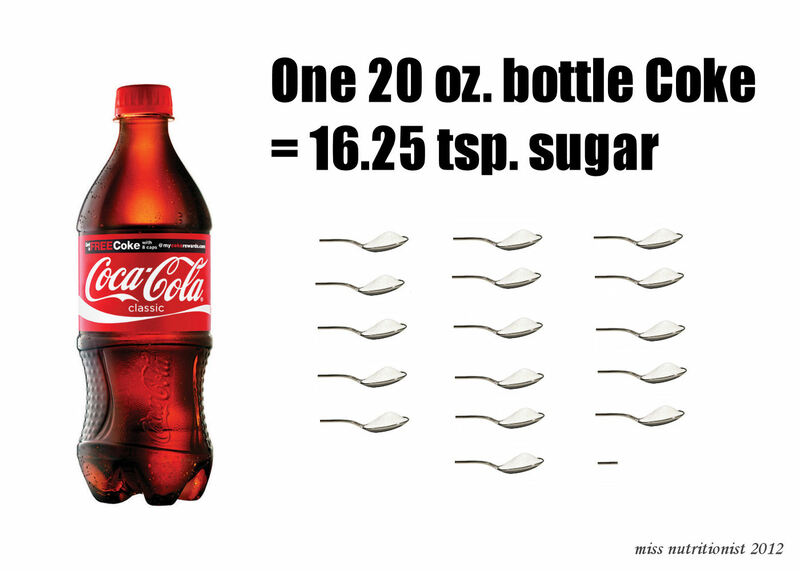 But if you drink them day after day, that sugar will add up very quickly, as will your dollars!